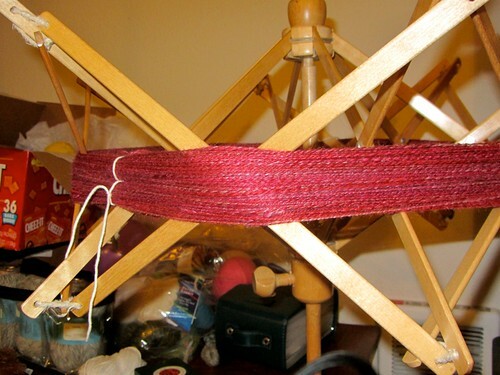 After plying, I used my swift to skein up the yarn so that it could be washed. 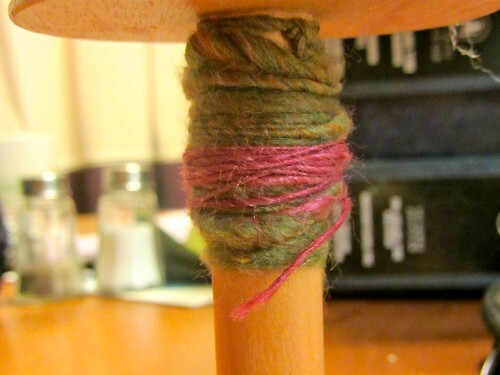 I don't bother to use the niddy noddy at this stage because the length will change with washing and hanging anyway. 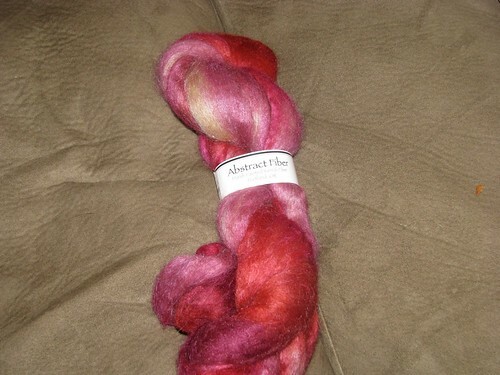 The fiber is Abstract Fiber Alpaca Silk in colorway Mt. Hood Rose. It appears to be available on the website, but they don't have a picture. I got mine at For Yarns Sake. 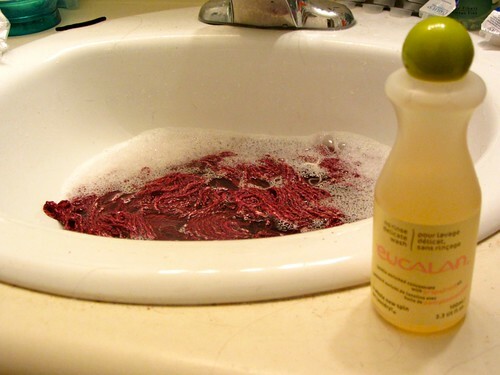 I let you know the final yardage and weight once it's fully dry. 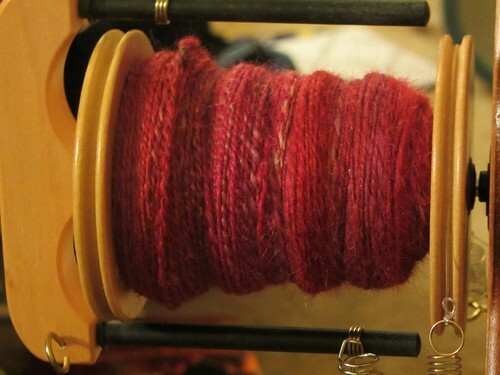 I once tried plying right when I finished spinning and it was a disaster. Maybe it was just me, but I definitely noticed that the singles had a bunch more active twist in them and I had to work hard to keep even tension in both of them while also keeping an eye out for those annoying little corkscrew flag things. Good to know there's an actual purpose to waiting... other than highlighting my impatience that is. It's been so cold and wet here that even after a full 24 hours my yarn is still not completely dry. I want to know what kind of yardage I ended up with!